Few nations have experienced the rapid change in their agriculture sectors that Albania underwent in the 20th century. Over a span of 32 years, from 1950 to 1982, Albanian farmers lost all control of the land their families cultivated. The People’s Socialist Republic of Albania (PSRA) further throttled the agriculture sector by imposing extremely restrictive tariffs and value-added taxes on fertilizer imports. This limited the availability and use of fertilizer. 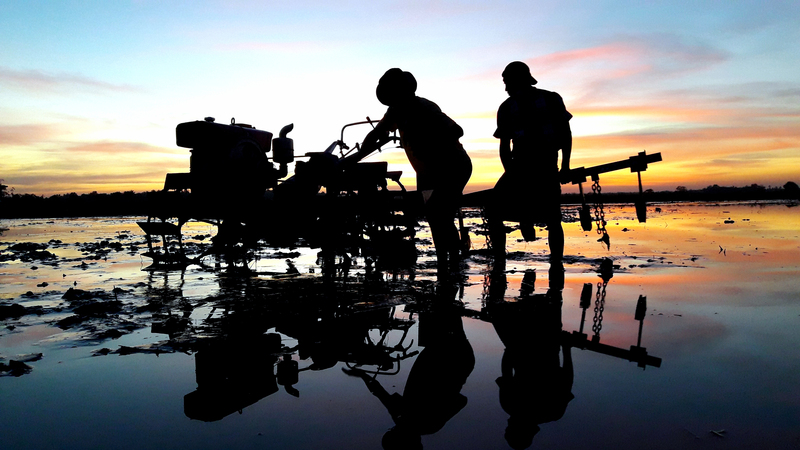 While the dissolution of the Socialist Republic in 1991 enabled farmers to regain ownership of their land, little was done to reverse the lingering agriculture sector market issues. Later that year, with funding from USAID, IFDC began building a private sector-led agriculture system that operated in a free market environment. One of the Center’s earliest challenges was to establish a functioning and sustainable distribution system for agro-inputs. In 1993, IFDC accomplished that task by helping Albanian agro-dealers create the Albanian Fertilizer and Agribusiness Dealers Association, an agro-dealer group that reinvigorated Albania’s farmers and economy. AFADA became a model for other economy-boosting sectors in Albania, improving the lives of countless Albanians in the years that have followed.